David Mac (DM): Picking up from where we left off last month, let’s talk about some of the recordings you did in London, starting with some of the early live sessions. John Stedman (JS): We started, as you know, with live recordings. 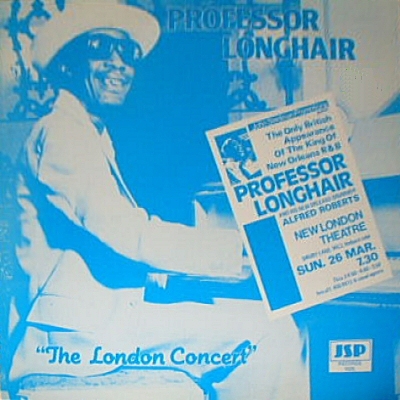 They included, of course, the now legendary Professor Longhair London concert which we talked about. The actual concert received the worst set of reviews of any show I have ever promoted. We recorded the Louisiana Red and Sugar Blue set which I have yet to put on CD. We did the fabulous jam with Rosco Gordon and guitarist Wayne Bennett. Al Rapone recorded at Dingwalls and the Jimmy Rogers/Left Hand Frank set which is a little rough around the edges, but is also a unique recording with the guitarists weaving lines in and out between themselves and playing a fabulously raucous and tough gut bucket style. DM: You recorded some music early on in the studio which swung a little towards the jazz side of the musical pendulum. JS: That’s right. 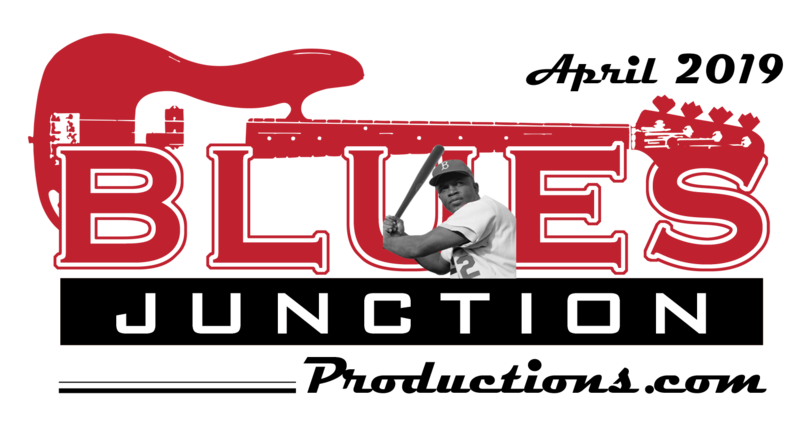 We did a lot of stuff on the blues and ballad guys like Eddie Durham, Al Casey, Jay McShann and Hal Singer. I mean, what is there not to like about those guys? It was inevitable that some of the bluesmen fit nicely into that scene like Jimmy Witherspoon band and Eddie “Cleanhead” Vinson's two albums we put out where blues and jazz seamlessly meet. DM: What were some of the other early studio sessions you did in London? JS: We cut records on the solo piano and vocals of Candy Green who was a Texas r&b veteran. 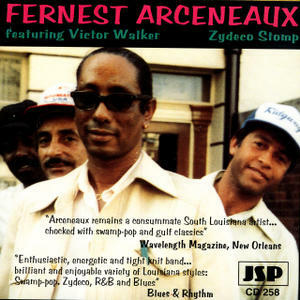 Then there was Fernest Arceneaux where the combination of the two voices of Fernest and Victor Walker created something unique. I haven't heard another zydeco album quite like it. The Lowell Fulson set was recorded on his first tour over here and served us well to promote the tours and to be sold at gigs. In spite of having one of the most impressive recordings histories of anyone I have worked with, Lowell approached matters with his customary creativity and craft. He did some fresh material and delivered strong performances. Lowell was a true gentleman and it was a true honor to work with him. DM: Did you have anything resembling a studio house band? JS: For a few years I had kind of a virtual studio band with guitarist Richard Studholme. We connected with each other when he brought harmonica man Bill Dicey to England from New York and we cut an album (another one I still haven't put on CD yet) Richard had a real feel for that Louis Myers/Robert Jr. Lockwood type of stuff. When I toured Carey Bell shortly after he wanted to make an album, he was skeptical of working with English bands. When I played him the Bill Dicey album his face lit up and he was ready. That album was the Harpslinger set and in my view is a modern classic. We cut everything live in a nice small North London studio. It has a fantastic sound. Richard backed Mojo Buford, Nappy Brown, Louisiana Red and Lucky Lopez Evans on albums for me over the next couple of years. 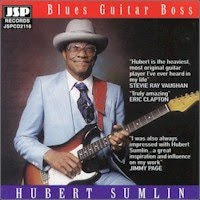 DM: There is one album from this period working with Richard, I would like to talk about and that is the record you cut on Hubert Sumlin, Blues Guitar Boss. JS: Thanks Dave for bringing that up. What I had heard of Hubert's previous albums was not good. Either he was central to the proceedings, but given no production help or guidance or he seemed to be a guest on his own album. I set things up so Hubert, Richard and the guys were touring together before the sessions. They went out on a long German tour and a London show at the Town & Country Club 2. Then they played a very hip mid size rock venue. So by the time they got into the studio everyone was tight, the material was rehearsed. The personal rapport between musicians was good. Hubert of course was just a sweet guy and, as you know Dave, a lovely man. Hubert obviously was more comfortable as a backing guitarist so Richard sang a few with Hubert. There were a couple of nice instrumentals and of course, Sometimes I'm Right, that wonderful atmospheric slow number that doesn't seem to fit anything else Hubert did, but is so lovely. DM: How did you hook up with Otis Grand? JS: In 1991 I heard about this amazing guitarist/singer in LA who did back flips and rolls on stage. I thought he would be perfect for touring....of course it was Guitar Shorty. I contacted Tina Mayfield and she basically said "give me the date, send the ticket and I'll put him on the plane." which is what we did. I think I managed something like a seven to ten date English tour with someone nobody had heard of and with absolutely no promo material. Once I had seen Shorty play one gig it was evident that this man needed to make a record. He was playing amazing 50's style shows but wanted to make a rocky/funky album to be commercial. I needed a strong personality with knowledge of the old ways and a ready made band with horns. Of course, it had to be Otis Grand. The Otis Grand connection was already there for me; I had released a couple of tracks on the Burnley Blues Festival album and I think maybe booked a couple of gigs. A new chapter was started. DM: Should we call this the Grand chapter? JS: Yes, we should. We rehearsed with Otis at his house and it was then that Shorty and I realized that if this was going to work that this was going to be very much a collaborative project. In 1991, when this was cut, I will say that there wasn't a better band anywhere in the world than Otis’ band. They were just a well oiled, swinging real blues band with a superb horn section. We arrived at the studio with everyone rehearsed and prepared. The tracks were put down live in the studio. The sax solos were live. I think the horn arrangements were recorded a few days later. It was the first time I had used Falconer Studio which was a real find, stone drum room with a Hammond B3. It was the perfect place for an old fashioned recording. Within a year of release Shorty was a star. He then signed with Black Top Records. He was a hit on the festival circuit and I never got another tour. DM: This actually became a pattern as you would find veteran talent that had been flying below the radar before making a record with you. JS: At that time, other labels were watching who we were signing and we became kind of an unofficial talent agency for the likes of Rounder and Black Top among others. DM: How do you feel about that? JS: No problem with that, it's nice to be noticed. DM: You and Otis continued to work with some California transplants from Houston, Texas. JS: Otis did two London studio sessions with real old timer legends, Phillip Walker and Joe Houston. Phillip was just so professional and determined to make a great album. What a combination of talents with him and Otis. 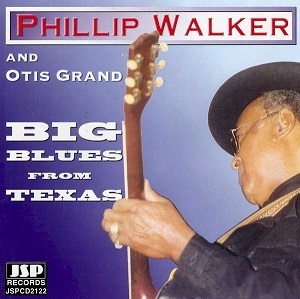 Big Blues From Texas is a gem. With Joe it was slightly different in that he arrived expecting to be able to sing two or three blues standards, knock out some simple instrumentals, take the money and go home. But once he had figured out that this was a serious project with serious players he threw himself into it with enthusiasm. I recently re-mixed this album and the new sound is astounding, very powerful. I hope to reissue The Return of Honk later this year. DM: Otis then collaborated with Joe Louis Walker. That was different for a lot of reasons, not the least of which it was cut in San Francisco. JS: That’s right. It was different, as you said, because it was with Joe's band mainly, but with Otis adding horn parts in London when he got back. The sessions themselves didn’t always go so smoothly, but the end result is surely one of the best blues albums ever. DM: One of the best blues albums ever? JS: Well, Joe's best I think. JS: It is just straight, real blues played with tremendous fire and passion. If in doubt listen to Better Off Alone one of the Otis Grand/Lori Basson songs from the session. It is a great song with lyrics that have to have come from real life. Joe was singing his heart out and Otis was playing just his best ever guitar. I hope that Joe and Otis can get back together some day. DM: You also did sessions in Texas and L.A. Let’s start with the work you did in the Dallas/Fort Worth area. JS: I think the first was the U.P. Wilson album called, The Texas Guitar Tornado Returns. Like just about everything I did in Texas, the connections were made by the legendary Don O. in Dallas. He is a radio man, writer and general all round good guy who has no motive other than to see the musicians get somewhere and obtain some opportunities. That U.P. album was basically produced by his manager Danny Crow. It was a nice set. We recently released a lovely DVD of him performing at the 100 Club in London. From scuffling around Dallas/Fort Worth, U.P. did manage to make a decent living on the European scene and died living a comfortable and happy life in Paris. DM: Who are some of the other musicians you were able to record from this talent rich part of Texas. JS: There was Tutu Jones and Andrew Jr. Boy Jones (no relation) Cookie McGee, Randy McAllister, Alanda Williams, Joe Coronado, Bob Kirkpatrick. Some of them got to England and Europe including Cookie, Randy and Bob touring together and I remember Jr Boy too. It was interesting to me that the Dallas/Fort Worth scene was just so full of talent but there was no local label there to take it national and international. There still isn't. Editors note: Next month John and I will continue this conversation as we get into a variety of other subjects including his work at L.A.s Pacifica Studios and the first recordings of soon to be blues star Kirk “Eli” Fletcher.